Hello Crafty Friends! 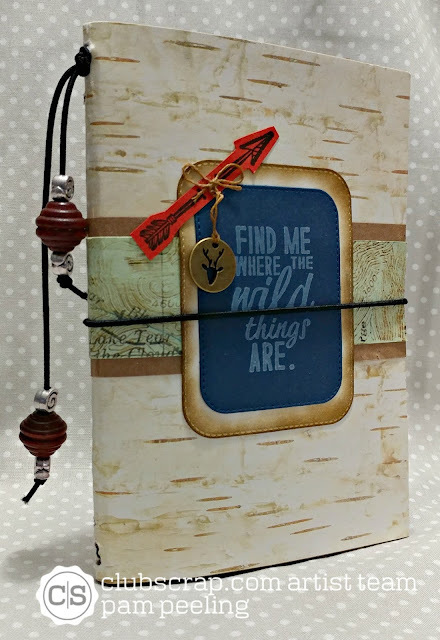 Welcome to the Club Scrap Adirondack Blog Hop and Linky Party! If you've just come from Tricia's blog then you're in the right place! 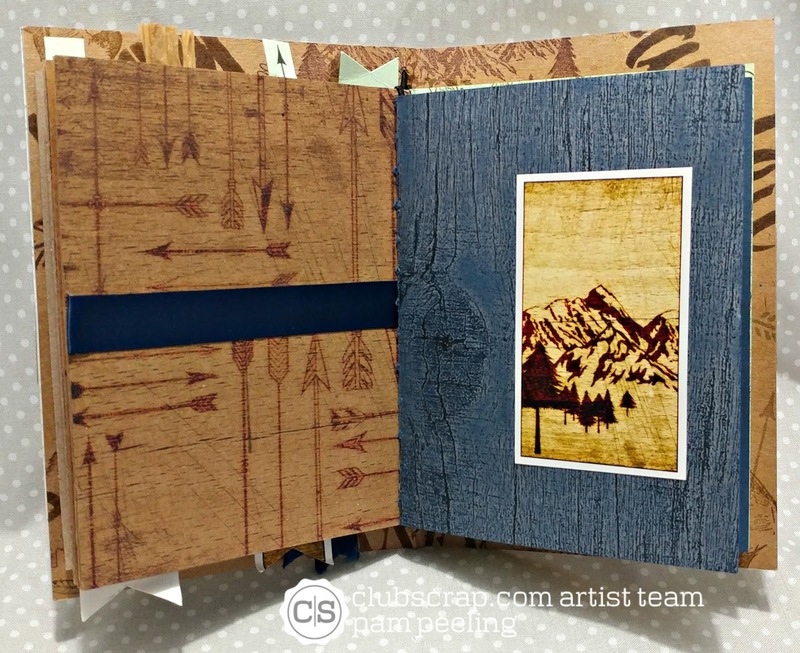 This month's kit- Adirondacks has a masculine feel with papers and stamps with images of mountains, loons and wood. I've lived in NY my whole life and been to the Adirondack mountains countless times. When I was a kid that's the only vacations we ever took- camping in the mountains every year...and I LOVED it! Still do! This kit brought me right back there. 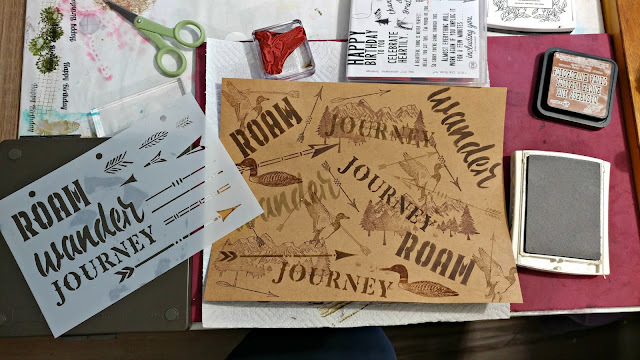 My sister and her family still camp a lot and I I decided to make her a Traveler's Notebook. There's a great tutorial here on how to put the strings in to hold all the inserts. I found there's a lot of different ways to do it. I made my cover from the papers in the Adirondacks kit. I adhered 2 pieces on either side of a thin piece of chipboard with Club Scrap book binding glue-love that stuff! The deer charm on the front is from the kit and the beads are from my stash. I got a big roll of the elastic string at Joann Fabrics. 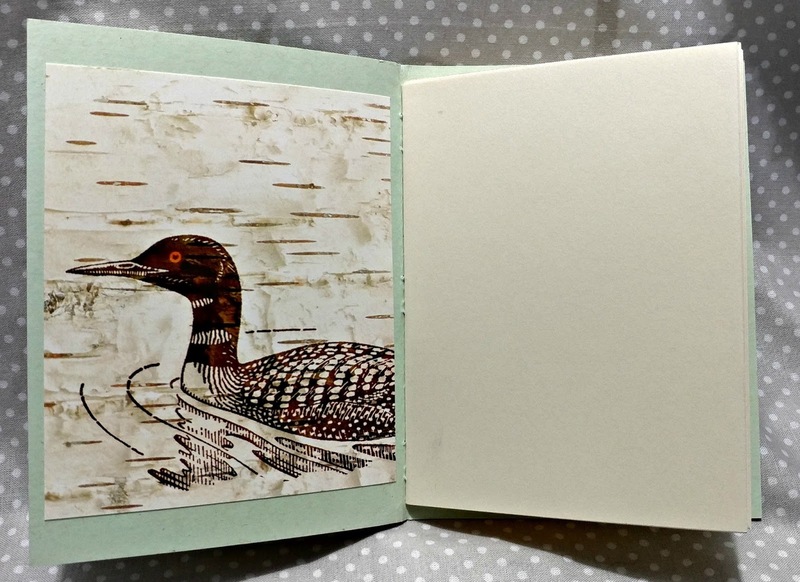 For the inside of the cover I used the stencil and unmounted rubber stamped images to decorate it. I made 3 inserts for the notebook-A decorated journal, a calendar and a blank notebook. 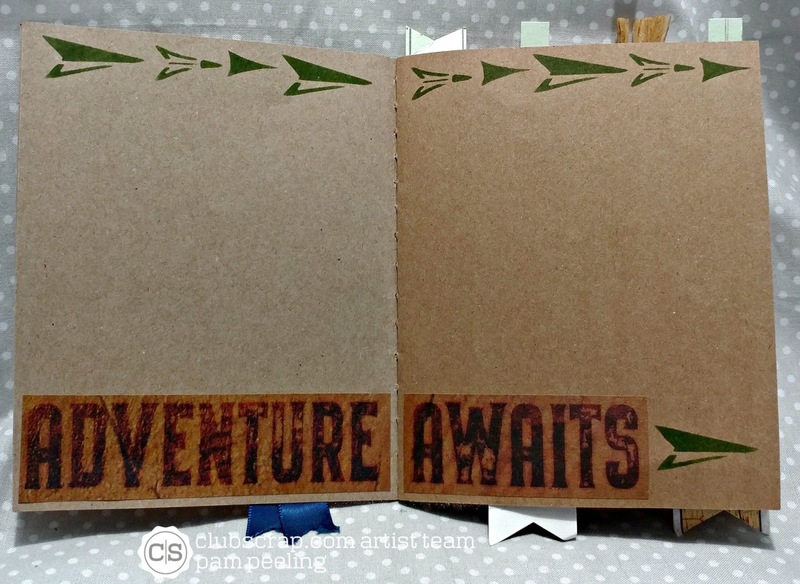 I used the text weight kraft paper with the kit for the pages of the journal. I decorated with cut a parts and stamped images from the Adirondacks kit. 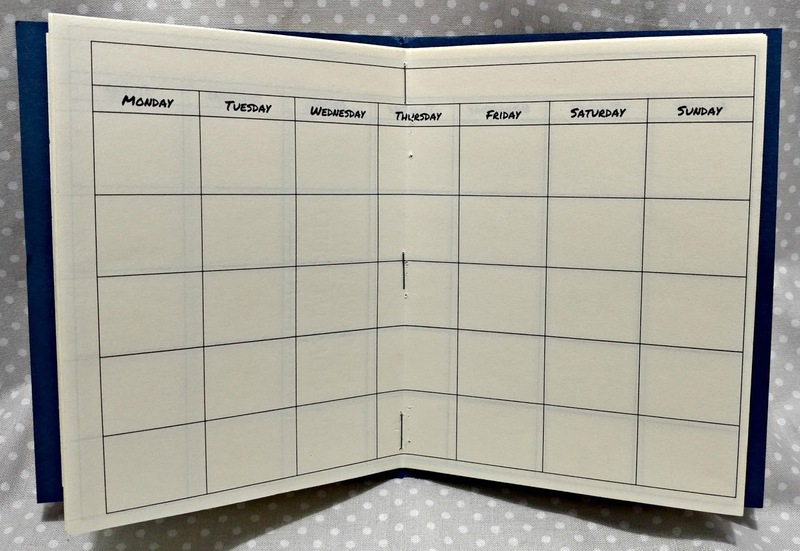 I used a cream colored text weight paper for the blank notebook and the calendar. I printed the calendar pages on my computer. 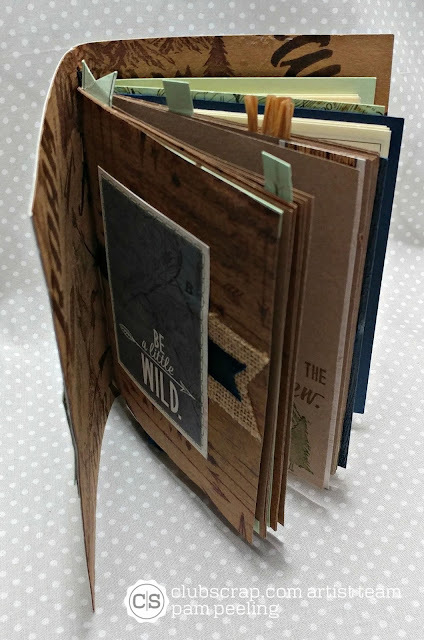 Be sure to head to the Club Scrap blog and link your own Adirondacks project!! Your next stop is Hetty! 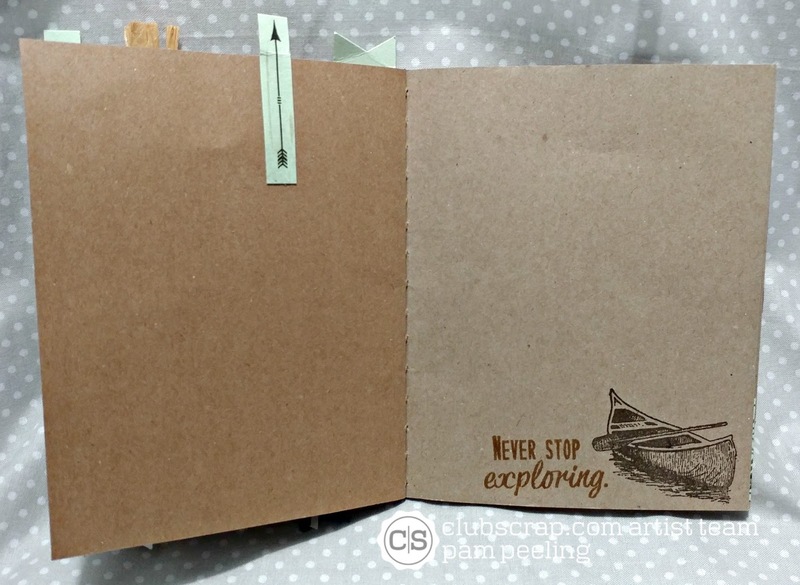 Happy travelling with your beautiful journal! Such a lovely cover and great inside pages. 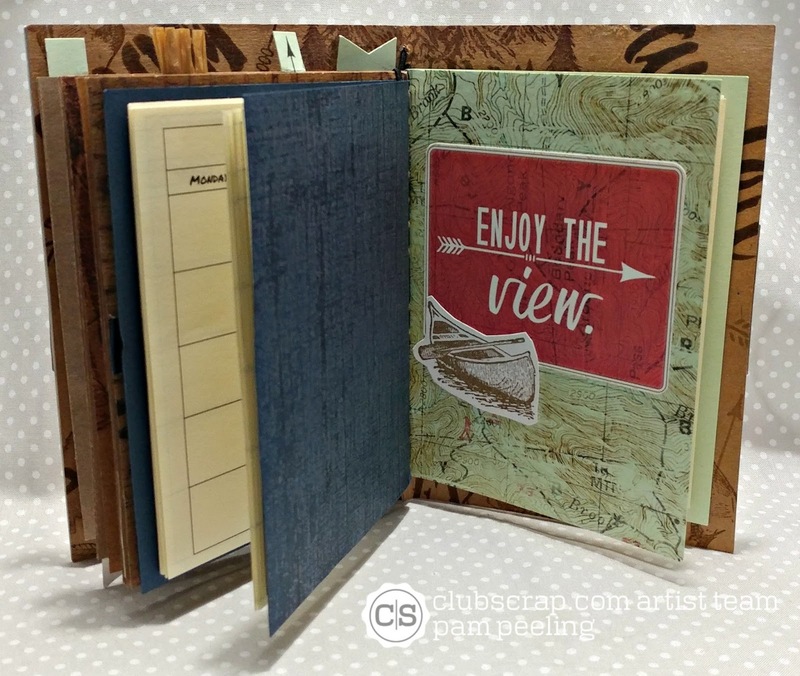 Another fantabulous project using these papers. Anyone would be thrilled to receive this as a gift; it is the best of what crafting is! You rock! I always love it when a collection evokes fond memories! That's what it's all about. But I love it even more when it inspires the making of something both useful and beautiful! What a gorgeous book. Your sister is going to love it! Beautiful travelog/notebook. Love how you added the calendar pages - I love to have a calendar to help remember the when's and where's. Everything came together beautifully! Gorgeous notebook Pam! 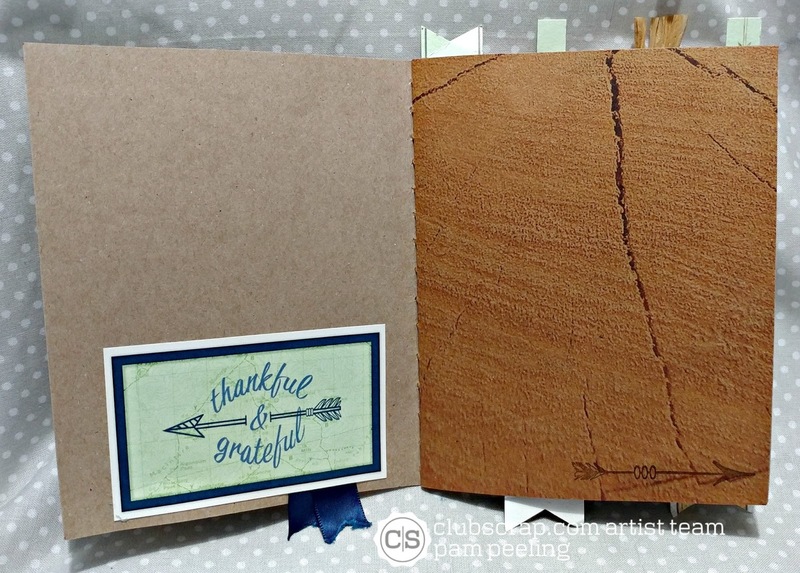 I love the collage stamping and stenciling for the cover. I think the cover may be my favorite part of this project!! Love a great looking collage and you nailed it! What a delightful booklet. Really like this. What a beautiful and useful book, your sister is lucky! Great collaged cover, fabulous on the inside too!!! 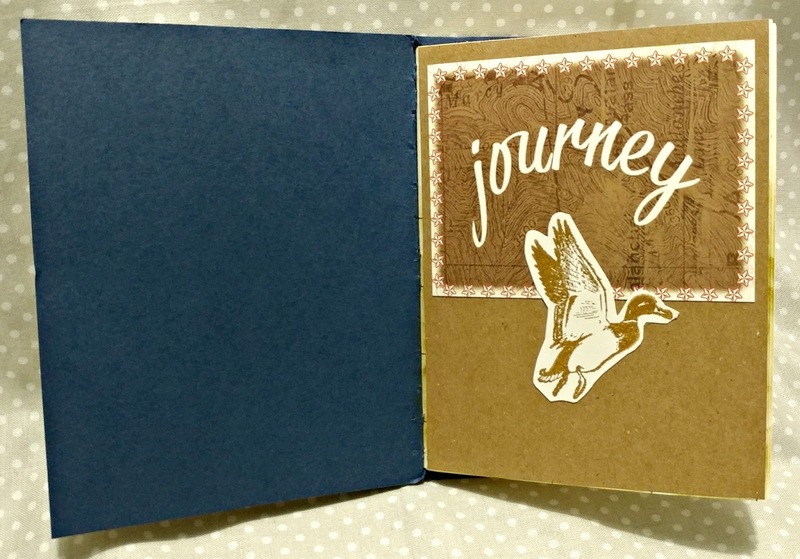 I LOVE the cover of your journal! 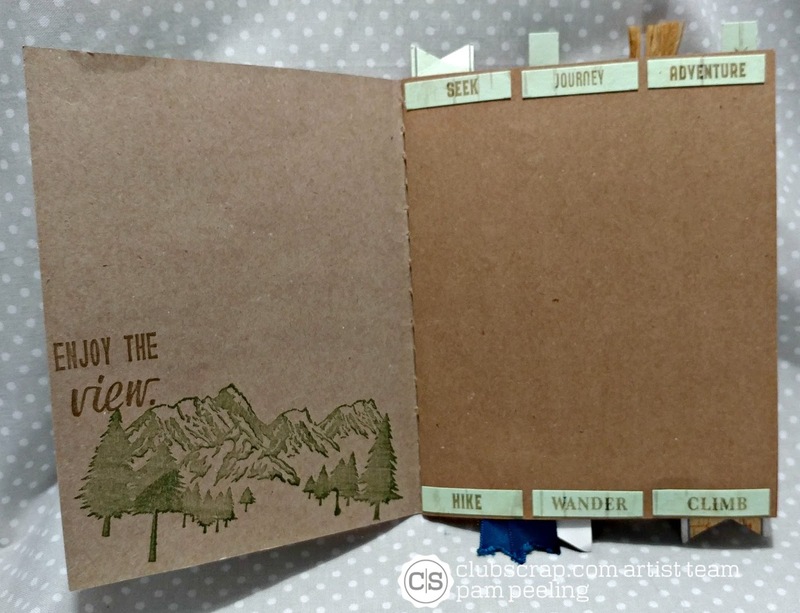 Isn't that sentiment perfect for an outdoor journal? The little beaded tassels are such a great bit of detail. What a perfect gift for a camping family! I'm so glad you shared the inside pages...the calender is genius! Your lil album is just amazing, so sweet! Reeeally!!! Love this album! Thanks for the idea Pam. Have a great day! Great - hope your sister will enjoy traveling and recording! Another great traveler's notebook. This kit is perfect for it. I love all the little details you included. TFS! What a great project! Thanks for sharing the page details with us. I love seeing the insides!